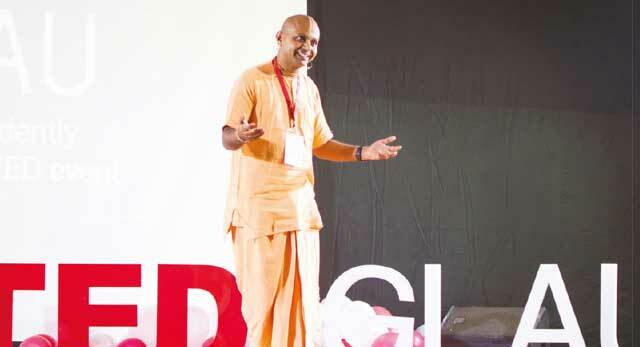 “When we go, we must leave behind a legacy,” was one of the key lines in the TED Talk delivered by Gaur Gopal Das in November 2016, which summed up his attitude and take on life. An electrical engineer by profession, Das enjoyed a short stint at Hewlett-Packard (HP) before deciding to become a monk and life coach. His teachings are sought by people ranging from corporate leaders to celebrities and students to British parliamentarians. Having authored several books such as Checkmate, Revival and Conquest, Das is loved for touching the hearts of his followers in a simple and humorous way. A life coach and motivational strategist, he is also popular on social networking sites and many of his inspirational videos have gone viral. Q: How are humans adapting to VUCA (volatility, uncertainty, complexity and ambiguity) in the world? A: VUCA occurs due to changing situations whereby a decision in one part of the world affects the entire planet. If we do not change with the changing times, we’ll be left behind. We have to make the choice to either transform or transcend. Q: You emphasise the need to practise ‘conscious capitalism’ – how can individuals embrace this concept? A: Capitalism is the passion to achieve; conscious capitalism is about the passion to achieve and compassion to share. In today’s world, there are many genuine and sincere people who need help. Therefore, on an individual level, if we transform our passion into a purpose we can serve and change the world. Passion with a compass is called compassion. When our passion is used to serve others, it is called purpose. Q: How do you differentiate between motivation and inspiration? A: Motivation is what drives you from within; inspiration is what we derive from others. Q: What techniques do you embrace to maintain a positive attitude? 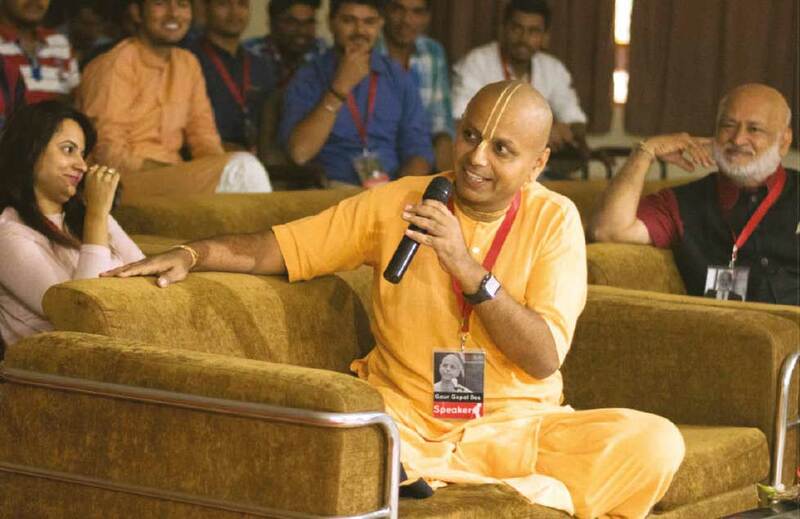 A: My positive attitude comes from my guru Radhanath Swami – the founder of the International Society for Krishna Consciousness, A. C. Bhaktivedanta Swami Prabhupada, my peers from whom I learn every day and my daily sadhana. I simply act as a microphone to amplify all the teachings I’ve learnt. Q: In an age when Human Resource Management (HRM) has evolved into Human Asset Motivation (HAM), how should corporates manage talent? A: The first step is to understand that leaders and managers should lead with a sense of purpose. We have to treat people as assets and motivate them beyond merely earning money. Every individual has potential; and every leader has to strike and tap that potential within. They say people are meant to be loved and things are meant to be used; however, many leaders today love things and use people to get things done. Therefore, I try to share the principles of conscious leadership. I believe that we should always put people before profit. Q: In what ways do you practise what you preach and how challenging is it? A: I try to preach only what I practise. I take the challenge, work on it and share it with others. I believe that knowledge and principles are realised when they’re practised – and therefore, have an impact when shared with the world.